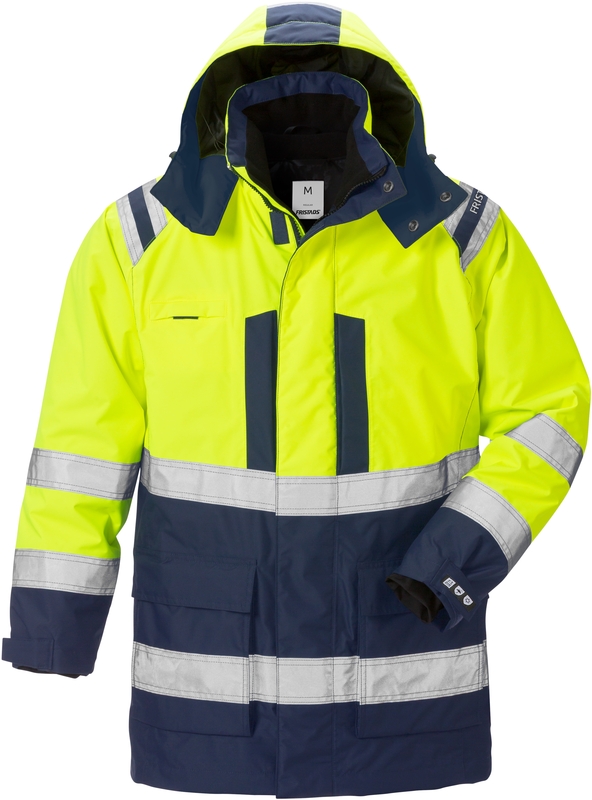 High visibility windproof parka in light and smooth Airtech® material with high water resistance and detachable inner lining. Approved for 60 degrees industrial laundry. Material: Airtech®, 100% polyester, breathable, wind and waterproof. Quilted lining in 100% Polyester. 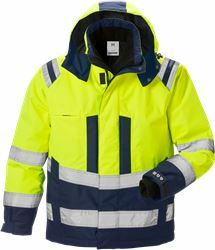 Weight: Outer fabric 150 g/m², lining 260 g/m². 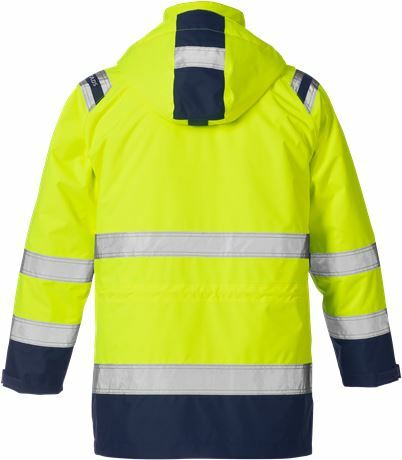 Airtech® breathable, wind and waterproof / Detachable lining / Detachable lined hood with adjustable strap and drawstring / Fleece-lined collar / Reflective detail on shoulders / Front placket opening with two-way zip to top of collar and concealed snap fastening / 2 chest pockets with zip / ID-card pocket / Map pocket with inside mobile phone pocket / 2 bellowed front pockets with flap and concealed snap fastening / 2 fleece-lined hand-warmer pockets / 2 inside pockets with zip / Adjustable waist with drawstring / Elastic inner cuff with thumb grip / Adjustable sleeve end / Zip in lining for easy embroidery and transfer / Waterpillar 10.000mm / Approved according to EN ISO 20471 class 3, EN 343 class 3/3 and EN 342 / Leasing laundry-tested according to ISO 15797 / OEKO-TEX® certified.